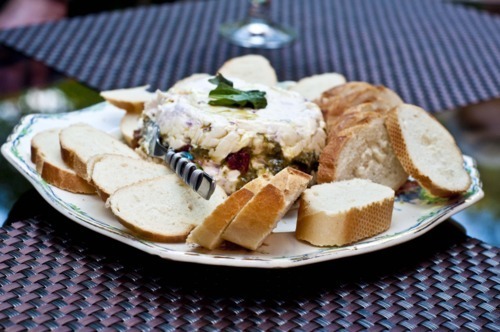 My mom makes this awesome spread by layering an inch of cream cheese, a layer of pesto (both basil and sundried tomatoes) and another layer of cream cheese. this goes in a bowl lined with saran wrap so you can flip it upside down on a plate. 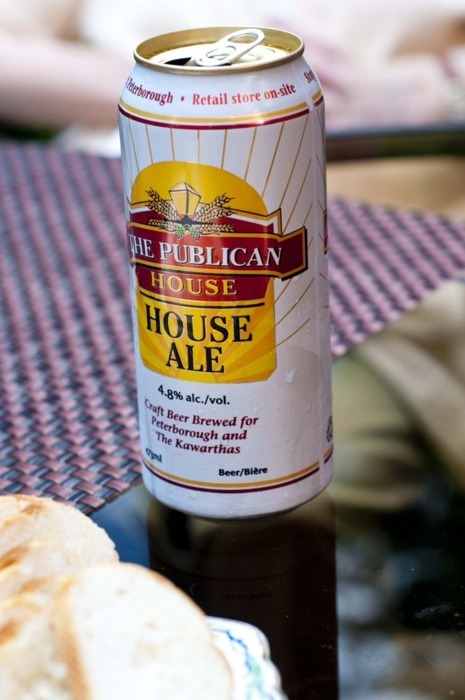 My dad’s contribution to the night was locally brewed beer from the Publican House. 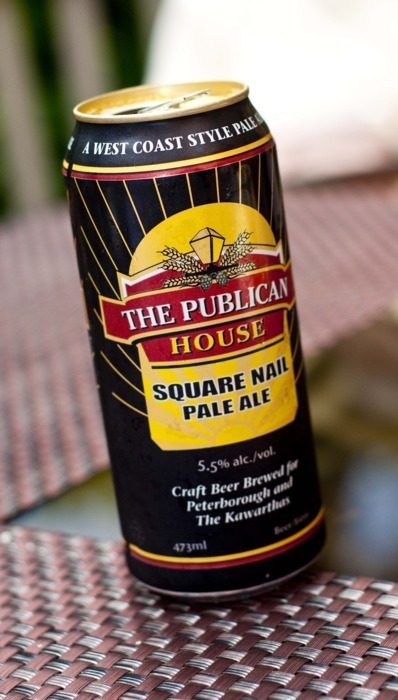 The House Ale is a fan fave though you might want to go for the Square Nail if you’re feeling adventurous. My mom specializes in mediterranean chicken dishes. This time she made Pollo Con Olive y Limon inspired by Williams Sonoma Rustic Italian Cookbook. Sauté Red Onion, Garlic, Olives, Salt and Pepper in olive oil. Remove Red Onion and Garlic and set aside. In the same pan add White Wine, Lemon Juice and Quartered Lemons. Sauté for a few minutes. Use Mixture as Marinade for at least an hour. 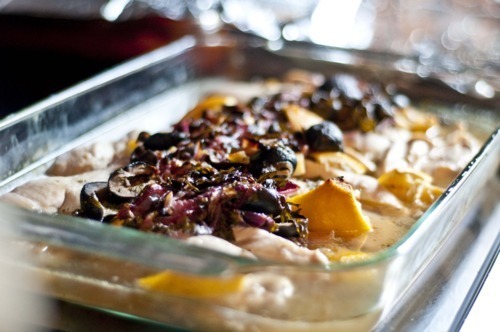 Place chicken in a pyrex pan and top with Red Onion mixture. Cook for 40 minutes at 350C.